What Is a Dream Pillow? What’s in a Dream Pillow? How Long Does a Dream Pillow Last? Have you ever heard of a dream pillow? There’s a long tradition behind this bedroom aromatherapy item. Let’s dig into its history, uses, and inner workings below. We’ve even provided a handy DIY guide for the crafty and sleep deprived. These pillows are small, soft cloth bags filled with a blend of aromatic ingredients that are meant to help you sleep easier and have more pleasant dreams. Dream pillows also called comfort pillows, sleep pillows or herb pillows. They are similar to sachets filled with potpourri that are traditionally placed in closets, dresser drawers, with stationery packs and even hung on doorknobs. The point is to impart a pleasing scent to the atmosphere of the enclosed space. 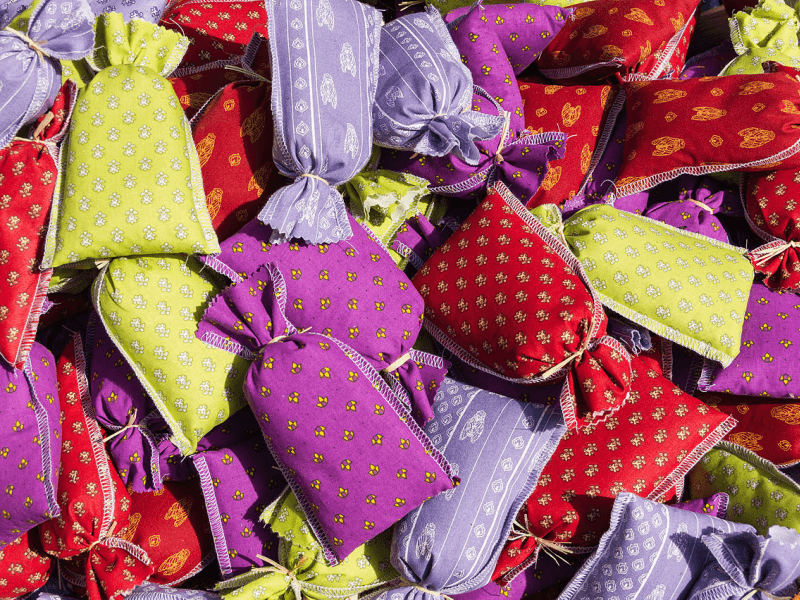 The main difference between the typical sachet and the dream pillow is the intended use. One is for ambiance during waking hours; the other is for sweet dreams during nighttime rest. What is the History and Origin of the Dream Pillow? Before the conveniences of modern medicine, herb pillows—including dream pillows—were more prevalent and almost a necessity. Apart from ingesting and applying folk remedies topically, the use of fragrant sachets was commonplace, particularly in Europe. This is by no means a new innovation. The practice dates back to the 16th century and even earlier. Some even earlier accounts detail more direct approaches, such as placing moist leaves on a person’s forehead or sprinkling dew from leaves on bed linens. Herb pillows stretched the use of gathered or cultivated herbs and were also non-invasive, primarily relying on an aroma-therapeutic effect to provide relief. There are more esoteric uses of herb pillows: to provide protection from evil, to encourage precognitive dreaming, and even to attract a lover. For the purposes of this article, though, we’ll focus on sleep. How Do You Use a Dream Pillow? Today, dream pillows are used not only to induce and enhance sleep, but also to encourage dreams and help you remember those dreams after you wake. Consistent use of dream pillows also allows you a measure of comfort whenever you travel or have to sleep in different places, like airplanes or hotels or even hospitals. A familiar scent helps when you’re in an unfamiliar situation. To use a dream pillow, simply place it inside your favorite pillow—if it’s the flat kind—or anywhere near your head. The idea is for you to be able to take in the scent as you drift off and while you are sleeping. Usual ingredients these days are Chamomile, Hops, Skullcap, Valerian, and more. Various herbs from the mint family are also frequently included; such as Peppermint, Lemon Balm, and Lavender. In general, dream pillows contain one or a combination of fragrant, relaxing and sedative herbs. The typical list of ingredients changes with time, and formulations vary throughout the ages. Infants and small children in the past were comforted and safely lulled to restful sleep with the scents of herbs like Catnip, Dill or Mugwort; which were encased in little pillows placed in their beds or sometimes even sewn into their toys.s, though. An early 17th century formula for the contents of a sleep pillow included dry Rose leaves with powders of Mint and Clove. In the 19th century, Prince Albert of Saxe-Coburg and George III of Great Britain both used a “Pulvinar Humuli”—or a Hops-filled sachet—as a sleep pillow. 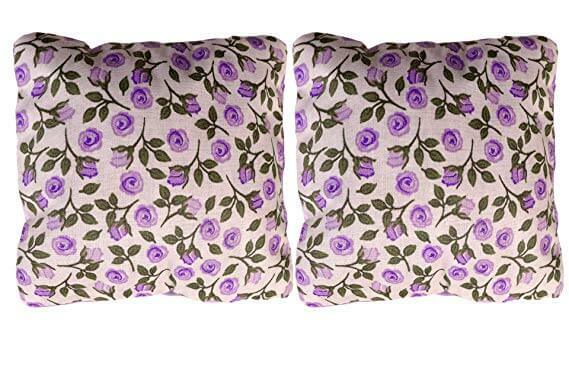 An enduring contemporary variation of the dream pillow is one containing Lavender or a blend including it. This is due to the popularity of the herb as a medicinal aromatic and its pleasant fragrance. Many dream pillows, once they lose their fragrance, can be opened up to replace their contents. A good quality case, pouch or sachet of a dream pillow will last a long time if it’s taken care of properly and refilled regularly. You can also use essential oils, but note that the herbs should be completely dry before the pillow is sealed up, in order to avoid possible rotting of the plant material. Did you go the DIY route? (If you didn’t but want to try it out, you’ll be glad to find our DIY guide below.) If you’re wondering why homemade pillows seem to lose potency faster than commercially available dream pillows, here’s why: Some dream pillow makers use herbal fixatives—such as Orris Root or Benzoin—to prolong the scent. This is a cruelty-free adaptation of the old practice of using animal fixatives like Ambergris. The idea is simple. The execution can be as detailed and elegant as you want, but as long as it is functional, what a dream pillow looks like is not important. Let’s go through this dream pillow guide step by step. 1. Make or source small, breathable and resealable pouches or sachets. If you can sew, you can use leftover scraps of fabric or parts of old blankets, scarves, or clothes to create this yourself. Cotton or another natural, breathable material is preferred. For easy access to the contents, you can tie homemade cases shut with twine or yarn. This is the outside of your dream pillow and will be the part that’s most exposed to the element. It’s also the part that you can personalize and decorate with your own designs. Make sure that you don’t interfere with the breathability of the material! 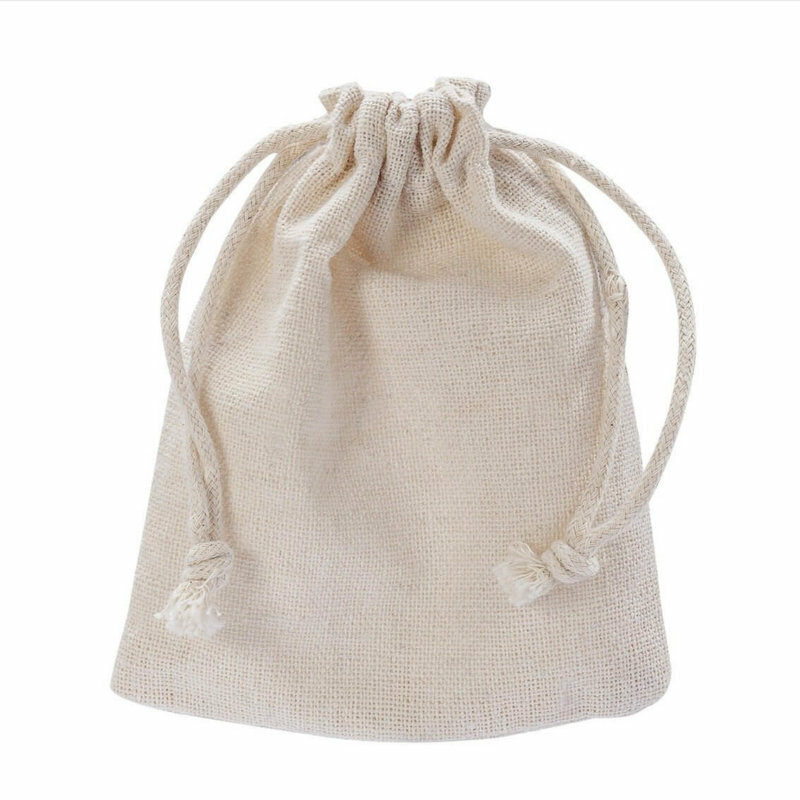 MIAOMIAO Reusable Cotton Double Drawstring Bags ($7.99 on Amazon). 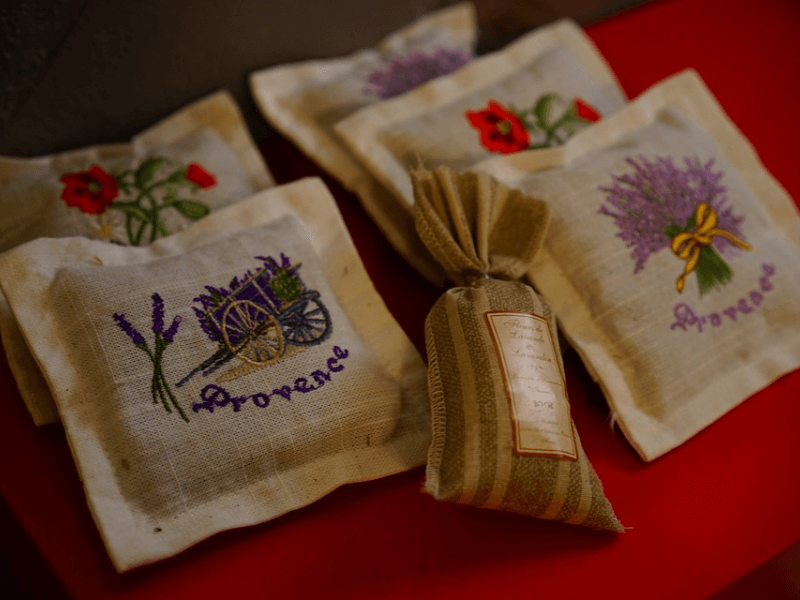 Sold in sets of 12, these natural cloth sachets are very affordable. They’re also easy to fill, as they are small at about 4.5 inches by 3.8 inches. The material is unbleached and machine washable. Augbunny 100% Cotton Canvas Zipper Pouches ($11.99 on Amazon). Sold in sets of 6, these are relatively more expensive but no less affordable. At 6.5 inches by 4.7 inches with a 2.2-inch bottom, it’s also bigger and will hold more dried herbs. However, this product is said to be good for hand washing in cold water only. 2. Repurpose or source sheer bags to fit into your dream pillow cases. You know what these are. These sheer pouches are usually made of organza, tulle or mesh. You encounter them when you buy costume jewelry, receive party favors, or create gift bags for all sorts of events and occasions. You probably have one or two hidden in a drawer somewhere. The purpose of this part is to have an easily manageable sachet that you can fill and refill with contents. The sheer material should also prevent loose herbs from poking through the cloth or escaping your pillow case. This part shouldn’t give you too much trouble, but in case you don’t have a sheer bag lying around, you can buy some—the only problem is that they’re often sold in bulk. Below are relatively affordable options, but a little excessive especially if you’re not making a huge batch of dream pillows to give away. SumDirect Sheer Drawstring Organza Pouches ($10.89 on Amazon). Sold in sets of 100, it is still affordable, though usually way more than needed. Items are 4 inches by 6 inches. Mudder Organza Gift Bags ($6.99 on Amazon). 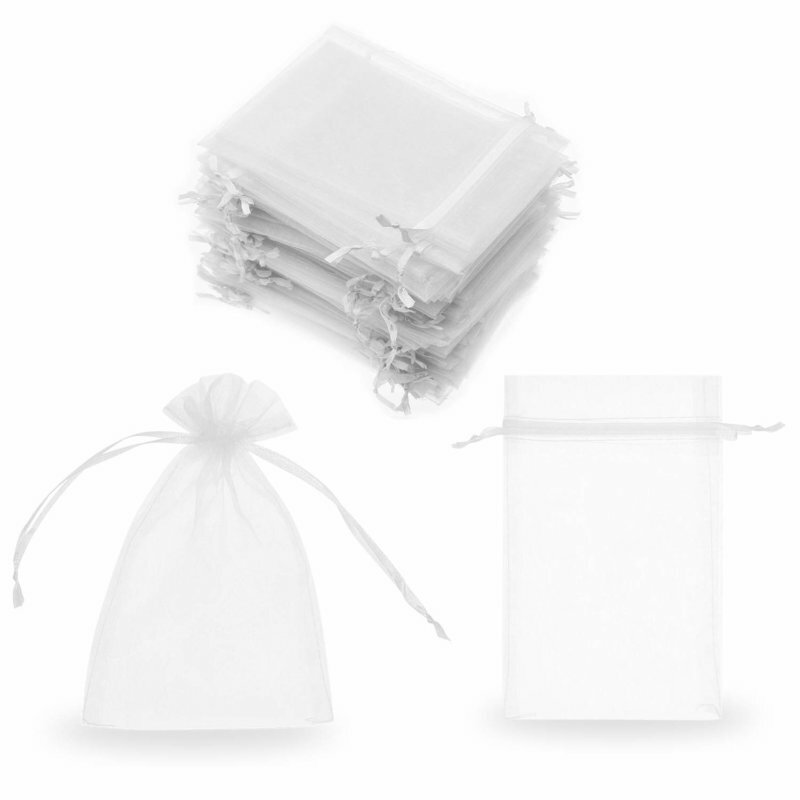 Sold in sets of 50, these sheer pouches offer less value but may also end up offering less waste. 50 sheer bags are easier to manage and find uses for than 100! Items are also slightly smaller than the SumDirect offering: 4 inches by 4.7 inches. 3. Create your own blend of sleep inducing botanicals. You can easily look up formulations online, make one of your own, or even start with one herb like Lavender or Hops. To add a personal touch, you can include ingredients that are not necessarily soporific, but may evoke calming nostalgia; like Rosemary, Cedar or even a spice like Cinnamon. Fill your sheer bag/s modestly with your herb mixture. Don’t put too much, as the ingredients need room to breathe! If you are making dream pillows to be slipped into normal pillowcases, consider the fact that they also need to be as thin and flat as possible while still retaining a scent. 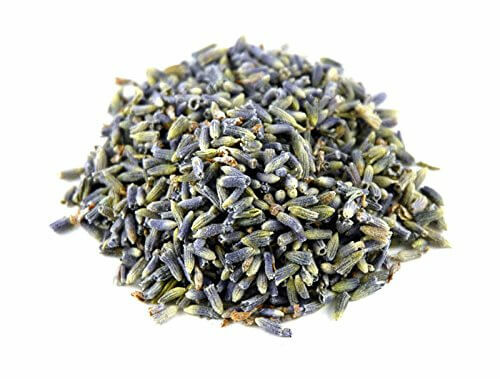 DriedDecor French Lavender Dried Lavender Buds ($11.95 on Amazon). Order this and you will get one pound of fragrant dried flowers. Note that this product is not marked edible! If you find that you have some left over after making your dream pillows, we would not advise that you use this for tea or cooking. bMAKER Edible & Kosher Certified Dried Flowers Sampler ($19.04 on Amazon). This 6-herb sampler features about one cup of each: Chrysanthemum, Hibiscus, Elder, Heather, Hops and Passion Flowers. The latter two are ideal for dream pillows, but that’s not the best part. These herbs are also culinary grade, so should you have some left over after your DIY project, you may use them in the kitchen. Not the DIY type? No problem. Dream pillows are not particularly hard to find, even online. Though we will always recommend homemade variants due to how personal and affordable they are, we do also have some ready-to-use favorites. The Ambient Collection Herbal Aromatherapy Dream Pillows ($7.99 on Amazon). 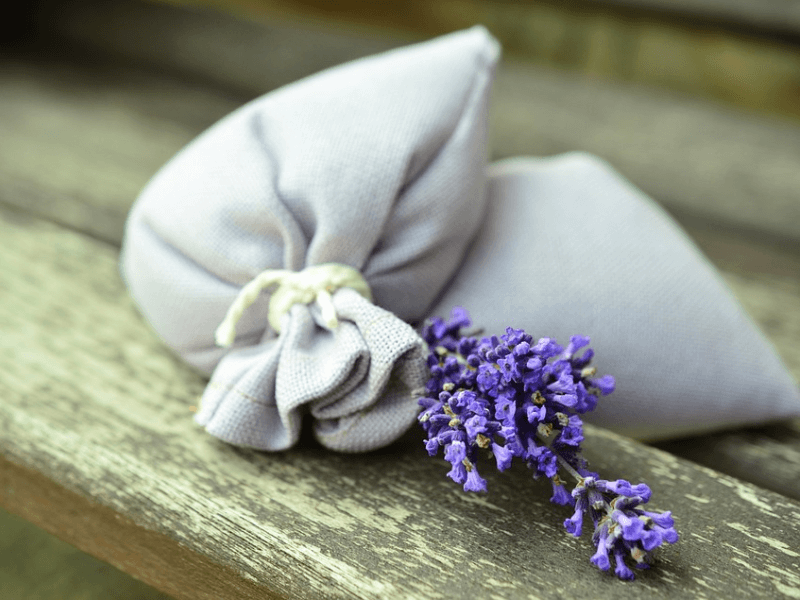 Sold in sets of, these small zippered pillows are filled with 30 grams of organic herbs: Thyme, Lavender, Tarragon, Spearmint and Peppermint. ASUTRA Silk Eye Pillow ($16.95 on Amazon). This product may be marketed as an eye pillow, but it is definitely made in the spirit of sweet dreams. It is filled with organic lavender for a calming scent and flax seeds for gentle acupressure. It is said to be 100% hypoallergenic and even comes with a free gel eye mask.